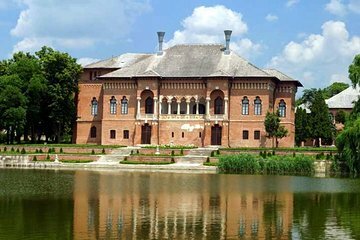 Visit two of Romania’s most captivating cultural treasures on this half-day tour from Bucharest. Admire the ornate compound of Mogosoaia Palace, which was completed near the turn of the 18th century and features impressive Venetian and Ottoman design elements. Later, delve into the legend of Dracula at mysterious island monastery on Lake Snagov, reported to be the final resting place of the bloodthirsty prince Vlad Tepes. I thought this small group tour was extremely nice. The hotel pickup and drop-off was much appreciated. On the short drive to Mogosoaia Palace the guide provided a commentary on the city sights. The Palace grounds and adjacent church was very pretty. The Palace has been nicely reconstructed and has numerous works of art displayed. A flutist was practicing in a downstairs room and the sound of his flute carried throughout the Palace making for a nice atmosphere. After a short drive we reached the bridge to cross over to the Snagov monastery which has quite a history. It is a very peaceful location and the church interior portrays many religious scenes. 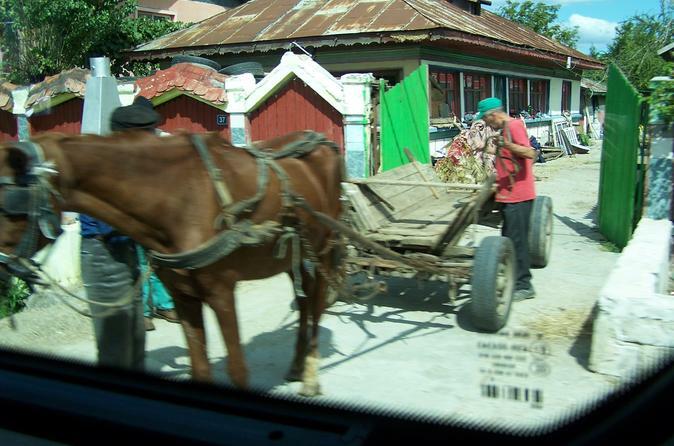 This is a very nice 1/2 day tour that lets you see the countryside outside of Bucharest. Good tour with a great guide. Tour is not too long so you don't need to dedicate a full day to it. Tour guide was great. She was very friendly and knowledgeable and accommodating with special requests and recommendations. Mary was our tour guide, and not only was she extremely informative, but she was prompt. Along the way Mary pointed out a great deal of what the city had to offer, and the dinner reservation she made us was out of this world. Traditional food, dancing, a live band.. we couldn’t have asked for more. This was the best excursion we have ever taken in any other city in the world.our friends agreed with us.Both employees the guide Daniel and the driver Bogadan were very professional. The guide was extremely informative.In fact they went the extra mile when we explained we had missed lunch they made a special stop so we could get snacks and drinks.People booking this trip in the future should ask for these two gentlemen to conduct it. The guide seemed inexperience. The driver pick us without saying a word, not sure if he spoke English or not. By the time we visited the monastery and palace, we've seen better and so far more beautiful sites. Knowledgeable guide with a sense of humour. Lovely unrushed interesting tour. Wow! Our tour guide Roberto was amazing. The palace was truly beautiful and we meant so much history! My highlight was Snagov and getting to see the tomb of headless Vlad the Impaler. Please take a few hours to take this tour. Thank you Roberto for a fabulous tour. Too expensive compared to the cost of life in Romania. Guide drives dangerously: too fast and looking the smartphone.